Are your home carpets and rugs making your family sick? 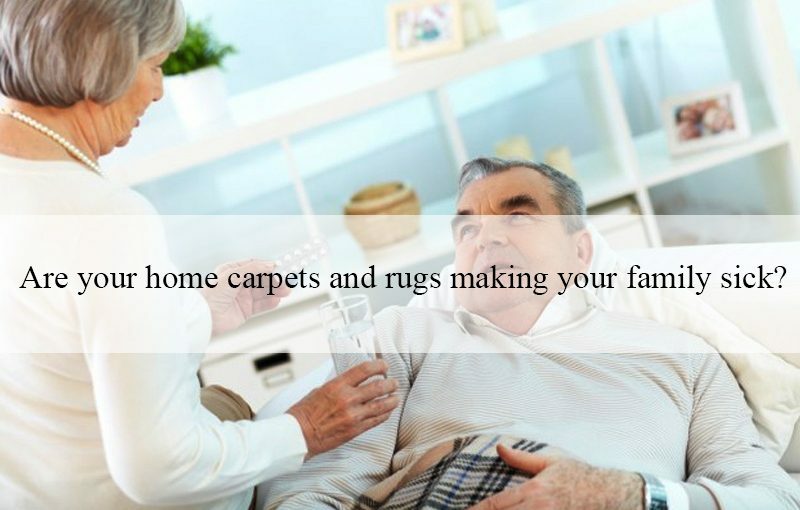 Home>>Blog >> Are your home carpets and rugs making your family sick? Your home carpet can be the largest floor surface in your home – and can be a hidden cause for sickness. Home carpets and rugs can hold indoor and outdoor allergens, including animal dander and dust mites. Certain carpet materials give off gaseous volatile organic compounds, or VOC’s, which can cause headaches and respiratory problems for people prone to allergies. We can spend time cleaning our home but neglect to regularly steam clean our carpet and rugs. Our customers are often surprised to find out that the carpet their family is walking and lying on could be such a host for all things creepy and crawly. This is especially important when they have babies and toddlers. So what are these things in your carpet? Ensuring your home is vacuumed and have your carpets steam cleaned regularly. Getting covers for mattresses and pillows. Covers can be cleaned easily, and can protect from dust build-up. Washing and dry cleaning linen, drapes and blinds often. keep pets out of your bedroom by either closing the door or using baby gates. As soon as you’ve handled your pet, clean your clothes with a lint roller. Go around and remove all fur and hair from furniture and blankets. Pollen isn’t only found outside – it can be brought indoors on clothing, hair and pets. Houseproud recommends you take extra care to keep it out of your house, especially during spring. Avoid hanging your bed linen and clothes outside to dry. Close windows and doors during the pollen season. You can find mold in many places in your home, but chances are there will be a lot more mold in your house than you’re even aware of. Mold can grow in places that you can’t see, but can cause a lot of problems for those living in your home. One very common place for mold is in your carpet, especially under the carpet and in the padding where water may have leaked to undetected. Clean – It’s such a simple answer but it really is one of the main ways to keep allergens under control. Many of our customers have told us that once they have hired a weekly Houseproud cleaner it has significantly helped reduce their allergy symptoms. One of the biggest mistakes people make is not cleaning their carpet, simply because it ‘looks’ clean. However looking clean and being clean are two different things. Your home should ideally be vacuumed at least once a week – more if you have young kids or heavy traffic. Getting rid of all allergens is nearly impossible, but it can be easier to get the problem under control if you have your carpet professionally steam cleaned regularly, and if you’re well-informed on what to look for. School holidays can be a great time to teach kids how to do housework! Next Next post: What to do if your Sydney home is flooded?